Saliva is a complex fluid found in the mouth consisting of a mixture of secretions from the major salivary glands and the minor glands of the tissues in the mouth. 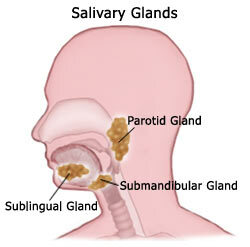 Majority of saliva is produced by the three pairs of major glands – the parotid, submandibular, and sublingual glands. The rest of it is produced by thousands of minor salivary glands distributed throughout the mouth and throat. maintenance of supersaturation of calcium and phosphate level bathing the enamel, helping to stop demineralization and/or to aid remineralization of tooth structure. The salivary defensive system functions continuously, but its secretion becomes greatest and most active during foodstuff ingestion. For the rest of the day, although the salivary flow is low, it is extremely important. In healthy individuals at rest (with no stimulated saliva), there is a constant slow flow of saliva which moistens and helps to protect the teeth, tongue and the cells in the mouth. It has the lowest flow rate during the sleep period of the daily 24-hour cycle. Since a greatly reduced saliva flow with plaque and food debris provides ideal conditions for cavities, the most important time of the day to clean teeth is at night before going to sleep. The defense functions of the saliva are part of the total body’s ability to maintain homeostasis, for example the ability to resist routine daily challenges by chemical and bacterial agents, and to repair limited amounts of tissue damage typical of the wear and tear of daily life. It is only when the bacterial challenge exceeds the body’s defense capabilities and/or there is a lack of a person’s commitment to self-care that cavities ensue. The flow of saliva can reduce plaque accumulation on the tooth surface and also increase the rate of carbohydrate clearance from the mouth. The diffusion into plaque of salivary components such as calcium, phosphate and fluoride ions can reduce the solubility of enamel and promote remineralization of early cavities. The carbonic acid-bicarbonate buffering system, as well as ammonia and urea constituents of the saliva can buffer and neutralize the pH fall which occurs when plaque bacteria metabolize sugar. The pH and buffering capacity of saliva is related to its secretion rate. An increase in secretion rate also results in greater buffering capacity. This is due to the increase in sodium and bicarbonate concentrations. Several components of saliva that is not related to immunity such as lysozyme, lactoperoxidase and lactoferrin have a direct antibacterial action on plaque bacteria community or may affect their metabolism so that they become less able to produce acids. Immunoglobulin A (IgA) molecules are secreted by plasma cells within the salivary glands, while another protein component is produced in the cells lining the salivary gland ducts. The total concentration of IgA in saliva may be inversely related to cavity experience – the more IgA in the saliva, the less chance of tooth decay. Salivary proteins could increase the thickness of the acquired pellicle (a thin film derived mainly from salivary glycoproteins, that forms over the surface of a cleansed tooth) and so help to retard movement of calcium and phosphate ions out of enamel. 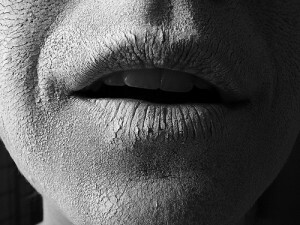 The useful role of saliva is not usually appreciated until there is a shortage. The cells of the mouth, without the lubricating and protective action of saliva, are more prone to traumatic sores and infection. Inflammation of the cells of the mouth (mucositis) presents as tenderness, pain or burning sensation and is made worse by spicy foods, fruits, alcoholic and carbonated beverages, hot drinks and tobacco. Taste sensation is altered, and chewing and swallowing present difficulties, particularly if the food is bulky or dry. When salivary flow is reduced, foods requiring a great deal of chewing are not well tolerated. Speaking may become difficult because of lack of lubrication. These individuals also suffer from extreme sensitivity of teeth to heat and cold, especially if the tooth dentine is exposed. Individuals without teeth may have problems tolerating dentures, probably because of reduction in surface tension between the dry condition of the mouth and the fitting surface of the denture. There is an increase in dental plaque accumulation, which makes inflammation of the gums more likely. Individuals with dry mouths are more prone to yeast infection in the mouth and rampant tooth decay is common if no preventive measures are taken. Who and where to condense this summer on furlough, appropriation your information.